Humanity will face various challenges in order to survive for the next few million years. Those challenges include overcoming climate changes, natural disasters, and also other disasters that might come, such as wars. Nevertheless, there would be another extremely challenging event about five billion years from now. Our star, the Sun is going to change into a red giant star that could eventually swallow Earth. Also, around that time the two neighboring galaxies – our Milky Way and Andromeda – are destined to collide. However, new estimates suggest a different mass of Andromeda than was previously thought, according to scientists. Scientists aren’t sure what is to come after the collision of the Milky Way and Andromeda. They believe that it will be a merger. On the other hand, the larger galaxy could swallow the smaller one. However, there is a new estimation of the mass of Andromeda which makes the latter event highly unlikely. Researchers from Australia and the International Center for Radio Astronomy Research (ICRAR) conducted another study on an estimate for the mass of Andromeda, finding it to be about one-third of the previous estimate, putting it in the same range as the mass of our galaxy, which is roughly 800 billion solar masses. This estimate is quite a bit smaller compared to the 2.5 trillion solar masses which were calculated in the last estimate. 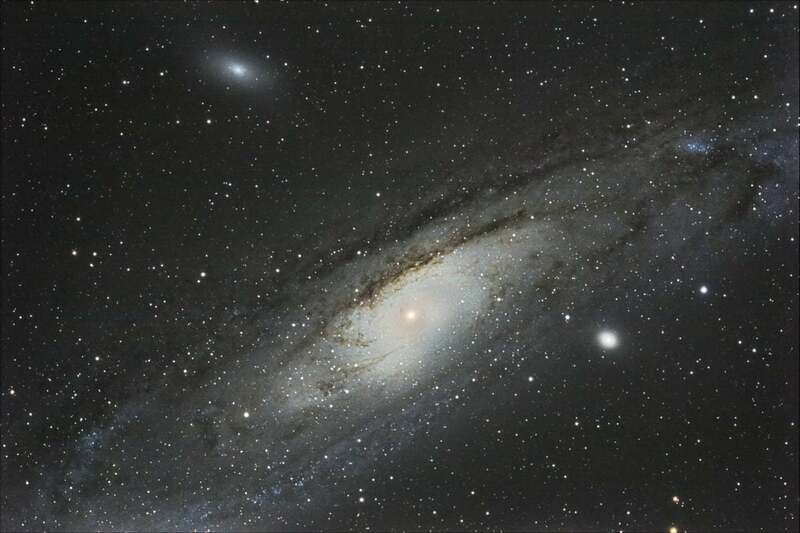 Researchers used a new technique which looks at the escape velocity of objects from Andromeda. “When a rocket is launched into space, it is thrown out with a speed of 11 kilometers (6.83 miles) per second to overcome the Earth’s gravitational pull. Our home galaxy, the Milky Way, is over a trillion times heavier than our tiny planet Earth so to escape its gravitational pull we have to launch with a speed of 550 kilometers per second. We used this technique to tie down the mass of Andromeda,” Dr Prajwal Kafle, an astrophysicist from The University of Western Australia node of ICRAR and lead author of a paper that describes the new estimate, explained in a statement Wednesday. The reason the previous estimate was so large could be because of overestimating the amount of dark matter in Andromeda. The team used the velocity technique in order to reexamine the estimate of the mass of the Milky Way, back in 2014. “By examining the orbits of high speed stars, we discovered that this galaxy has far less dark matter than previously thought, and only a third of that uncovered in previous observations,” Kafle said of the mass of Andromeda. “We had thought there was one biggest galaxy and our own Milky Way was slightly smaller but that scenario has now completely changed,” he explained. Researchers published their findings in a paper in the journal Monthly Notices of the Royal Astronomical Society. The paper is titled “The need for speed: escape velocity and dynamical mass measurements of the Andromeda galaxy.” The paper will be available in print on Thursday.